This is one of my favorite gifts to give a little boy. Trucks are versatile toys and have classic appeal. I remember pushing trucks around my sandbox as a young girl and now my 3 year old uses these Toy State Caterpillar Tough Tracks to dig in the sand and dirt. Occasionally the dump truck is even used to put toys away...but usually the clean up becomes a new play opportunity. 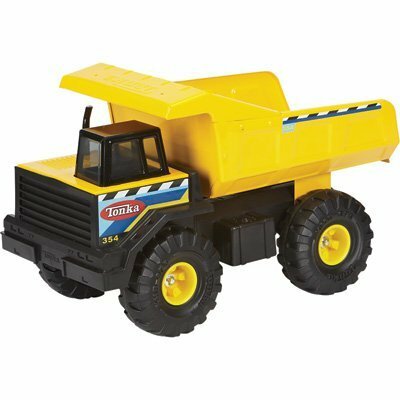 My mom gave my son the trucks for his 3rd birthday, and I have also given the Funrise Classic Steel Mighty Dump Truck to a boy in his preschool class. The Tonka truck is much larger and will be better for hauling toys and dirt. But The CAT trucks are a good size for small hands and are made of plastic so they are lightweight and easy to transport to the park when he wants to play with them there. They are also a good value to get three different trucks - a bulldozer, dump truck and back hoe. My only complaint with the Toy State Trucks is the dump truck. The truck bed pivots on the back wheel which often makes it tip your load before you've "driven" it to its next location. But this is the product designer in me noting how I would design things differently to improve them. My son has never noticed or complained about this and is content to load it and dump it. Also note that the Toy State Caterpillar Trucks are for ages 2 and older while the Funrise Classic Steel Mighty Dump Truck are recommended for ages 3 and up. 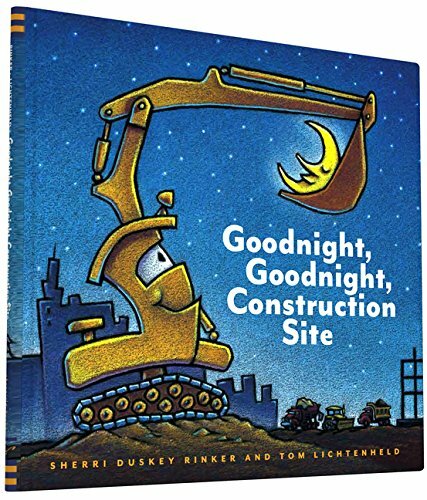 We also received Goodnight, Goodnight Construction Site with the trucks and have enjoyed reading this one. It has great illustrations that personify each truck, and it is well written. I like the relaxing repetition of "Shh...goodnight, Cement Mixer, goodnight" as each truck goes to sleep. My son likes to see how the bulldozer has "teeth" and the crane truck has "arms." If you're looking for a little something extra to go with this gift, a kid's Construction Toy Hard Hat is a nice addition. 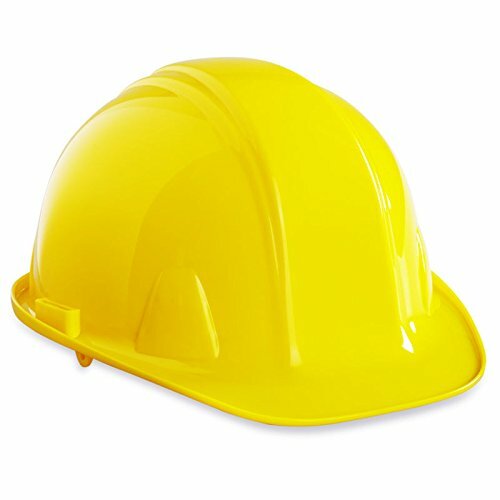 There have been times when my 3 year old has put plastic bowls on his head to pretend they were construction helmets, so I know he would enjoy one of these. 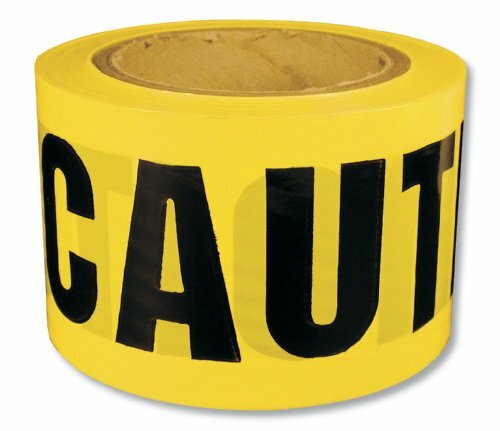 A quick but cute wrap could include using this Caution Tape as a bow! Stay tuned for a blog post on how this could look!